Efforts by Early Edge California with support from Assemblymember Reyes, the Legislature, and the California Department of Education (CDE), resulted in a one-time $5 million allocation in the 2018 California state budget to provide educators with professional development specific to Dual Language Learners (DLLs). Without specific training, teachers are not adequately prepared to teach DLL children. Investing in training to build the capacity of early educators to meet the needs of DLLs and their families will help close the achievement gap in the early years and reduce the need for later intervention. Program Description: CPIN is a California-based Preschool-specific professional development provider offering low-cost trainings to preschool teachers and administrators statewide. CPIN provides professional development for preschool administrators and teachers highlighting current research-based information, resources, and effective instructional practices. Program Description: The CSUCI early childhood studies program seeks to prepare students to work with young children from birth through eight years of age and their families, with a focus on coursework related to language acquisition and literacy for young DLLs. How Funds Will be Used: Grant will enable the creation of two sequenced online courses with DLL-focused content for assistant teachers, teachers, administrators, and coaches with corresponding online community of practice sessions. These courses will be offered in English and Spanish and will be taught by instructors who have been trained to deliver the online course content. Program Description: Based on the original kindergarten through fifth-grade Project GLAD, Preschool GLAD offers research-based strategies for creating language-rich settings that promote dual language development for DLLs. How Funds Will be Used: Grant will provide teachers and administrators the opportunity to be trained on the Preschool GLAD model. Initial training will be delivered by certified trainers from the Orange County Department of Education. The trainers will then work with school districts and programs to identify local educators to receive additional training to become certified GLAD trainers. Program Description: This is a comprehensive model of intensive, enriched language and literacy education for Dual/English learners that begins in preschool and continues through third-grade. How Funds Will be Used: Six groups of teachers will engage in an intensive SEAL professional development program geared to preschool settings. In addition, four communities of practice will be established across the state for preschool teachers and administrators to continue building their knowledge of best practices for supporting DLLs. Program Description: The Language Learning Project is based on the Fresno Language Project (FLP), which is a part of the Starting Smart and Strong Initiative, and was created to ensure all children, including DLLs, have a strong early language foundation upon kindergarten entry. 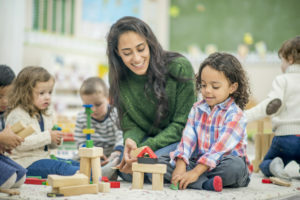 The project centers around professional development and coaching that is based on practices for working with DLLs, including infants and toddlers. How Funds Will be Used: The grant will expand FLP to other parts of the state. The Language Learning Project uses Personalized Oral Language(s) Learning strategies, which are concrete approaches that support language learning in ECE settings, including those serving infants and toddlers. (CCC) and the California State University (CSU) systems. Bookmark this page and check back for updates regarding the grants, including enrollment informaton.